• Rectangular or wave shapes. • Fabric screen with stitched edging detail & solid core. • Choice of Camira Cara or Lucia fabrics in a range of colours. • Acrylic screen option with range of colours. • All screens supplied with two brackets to suit the stated application. 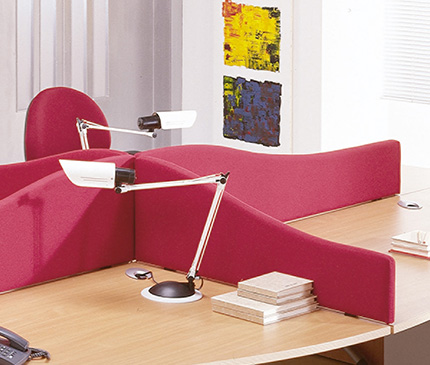 Split screens are designed to co-ordinate with Horizon, Rialto, Eclipse, Ambi ex, Aztec & Geos desking. This creates a 4mm gap between desks. Click on the links below to download digital media for Split.